Situated in the heart of Carradale village, with large mature garden and Arran views. The hotel has everything Carradale has to offer on its doorstep. Staff very welcoming and accommodating – water and treats supplied! 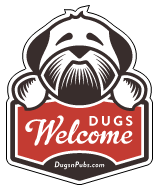 There are a total of 225 dog friendly listings in the Hotels & Accommodation category. Please log in, or sign up as a member to view all listings.